It gives me great pleasure to present the artwork for our next release on we are all ghosts and provide some details on it. 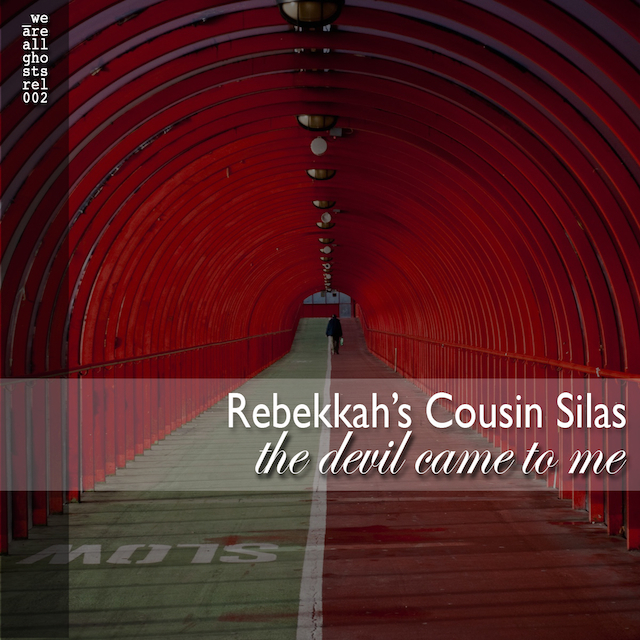 Our next release... waag_rel002... is entitled "the devil came to me" and it is the culmination of some serious effort from Rebekkah's Cousin Silas... a new partnership between ambient musician Cousin Silas and poet & soprano Rebekkah Hilgraves... a partnership that when I heard it I knew I had to have it on my wee fledgling label. I'll post more details in due course but the planned drop date is a week today :: Monday, 7th May... which, by the way, coincides with Cousin Silas' birthday.